It’s National Zoo Keeper Week and we’re sharing the love! To recognize the dedication and hard work of our amazing zookeepers, we are posting an interview of a keeper each day this week- and this year there’s video! This individual brought her passion for wildlife conservation to the Calgary Zoo, where her hands-on experience leads to great stories. A: “As long as I can remember I have wanted to work with animals. I was volunteering for the Humane Society and at vet clinics just for fun before I even had my first job at a dog kennel. After attaining my Bachelor of Science Degree in Biology at the University of Saskatchewan, I was able to spend a few months volunteering in South Africa at a wildlife rehabilitation centre and in Ecuador for an Andean bear research project. 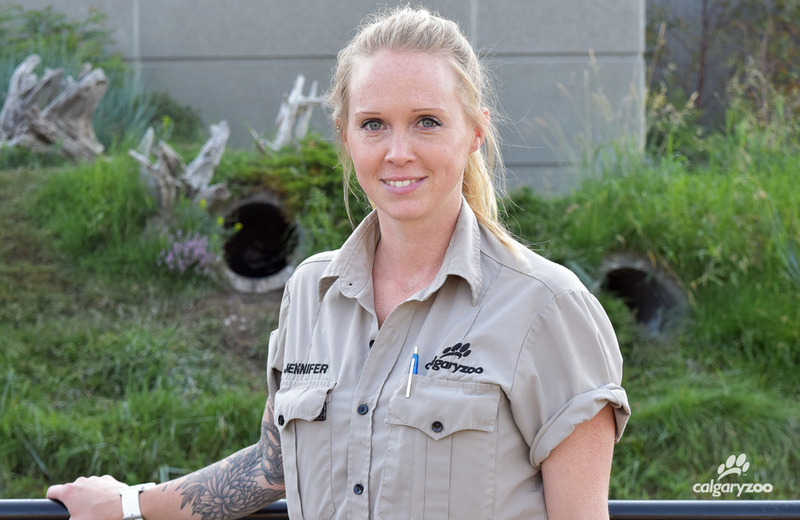 Meet Jennifer Godwin, one of the featured keepers during National Zoo Keeper Week 2016. A: “My first experience with gorillas was at the Calgary Zoo. Yewande was still really young at the time and their keeper let me feed her a fruit smoothie (which is used to help administer vitamins and medication). As I was pouring it into her mouth she reached out through the mesh and placed her small hand on the side of my face to check me out. She was looking right at me, and it honestly took my breath away. 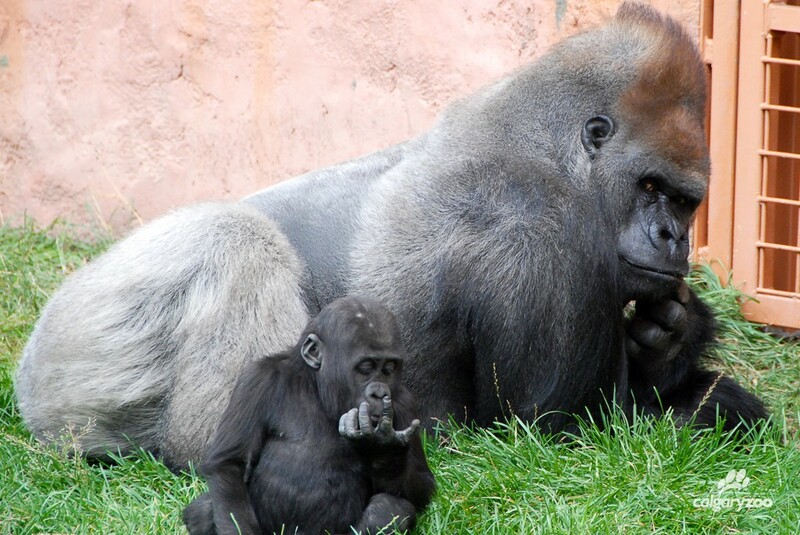 Gentle giant Kakinga has been a doting father- including with 2008 baby Yewande, pictured here. A few years later I got the chance to lead Behind-the-Scenes tours for the gorillas, and our old silverback Kakinga had quite the sense of humour when meeting some new guests. We would be sitting in front of him, getting ready to feed him carrot pieces, and as the piece got closer to his mouth, he would look directly in the guests’ eyes and be completely still. Out of nowhere he would then flinch at them to scare them. If you’ve ever been right in front of a huge silverback, you know it could be very intimidating.